This year sees a major change at Imperial Brands’ Duty Free & Travel Retail Summit of the Americas 2019 booth in Orlando, as the company moves to the theme ‘Global Connections’. The completely renewed booth takes visitors on a journey exploring Imperial’s brands and introducing the next generation vaping brand mybluTM. “We’re excited to present our latest portfolio innovations and new initiatives as we connect with customers and retailers during the Summit of the Americas,” adds José Rubiralta, Regional Manager Americas. A key initiative this year is the introduction of myblu in the duty free channel. “Following the successful launch in domestic markets across the world, we’ve gained solid learnings to launch this product in Duty Free,” continues Münstermann. “In the coming months we will be launching myblu in the UK and US through partnerships with Dufry and other retailers and we will then roll it out to the rest of the duty free world. myblu is a one step click-and-vape system and has a wide flavor range of pre-filled liquid pods available. 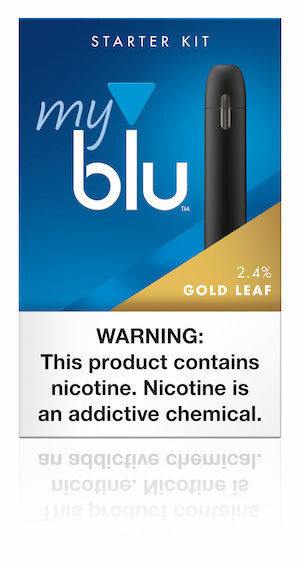 myblu will be unveiled to the Americas at the Imperial Brands booth #423. Imperial Brands has announced new appointments for its Madrid-based Global Duty Free & Export team. Replacing the retiring Jürgen Mortzfeldt, Alberto Serrano is now Regional Manager Europe as of February 1, joining the team from the Premium Cigar Division. He reports directly to Christian Münstermann, Global Duty Free & Export Sales and Marketing Director. Laurent Belotti has been appointed Key Account Manager Dufry, replacing Andy Blacker who begins a new role within the Bristol-based Travel Retail team from April 1. Serrano and Belotti join the growing team at Imperial Brands Global Duty Free & Export’s new headquarters in Madrid, Spain, led by Global Director GDF&E Jorge Arias. The decision to relocate to Madrid, centralizing functions previously handled in both Hamburg, Germany and Bristol, UK, is seen as strategically important for Imperial Brands GDF &E.
Last year Imperial Brands announced the appointment of Tobias Baude as Head of Corporate & Legal Affairs – Global Duty Free & Export, along with regional appointments of Julia Bauer to manage APAC and Jose Rubiralta to lead the newly created Americas region.